Looking for DDR4 memory that’s affordable, fast, and looks great too? In this post, we’ve looked at the market. Ram is expensive right now. So, we’re featuring what we feel are the best options available. Faster kits will, of course, give you additional FPS in gaming. But are they worth the extra money you spend? Also, how much ram do you need for your gaming rig? We’ll answer all of these questions below. How Much Ram do You Need for Your Gaming PC? Whether you’re looking purely for value, speed, or LED lighting, we’ve got you covered. Here’s a look at the best DDR4 memory kits right now. Alternatively, if you’re looking to build with AMD’s Ryzen, we suggest you take a look at our top memory kits for AMD’s Ryzen article to learn more. 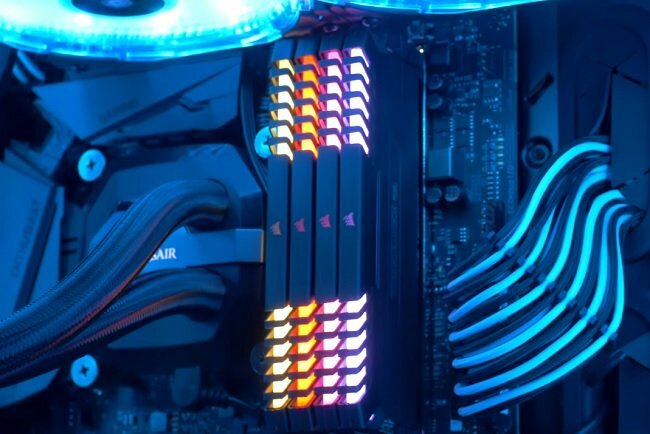 While some may poke fun at RGB lighting for ram kits, there’s no doubting that this is the most popular kit on the market right now. With speeds of up to 3200MHz and prices that don’t exceed typical ram by much, most gamers are opting for the additional lighting that it provides. No, this isn’t going to reinvent the wheel for everyone. But there is some serious eye candy here. So, if you’re serious about how your PC looks, it’s something to consider. In addition to the looks, there’s real performance to be had here. Corsair uses ten-layer high-performance PCB and carefully screened ram for all of these modules. For higher speeds, the Intel XMP 2.0 profiles make it easy. Overall, it’s good looking ram for just about the same price as the Vengeance LPX and even less than other mainstream brands. Looking at the Corsair Vengeance LPX series you’re looking at a kit that is dominating the market right now. With capacities from 8GB to 32GB and speeds from 2400MHz to 3200MHz you’ve got a wide variety of options for consumers. Looking at the 8GB kit, 2400MHz ram is only $4 cheaper than the 3000MHz option. So, we recommend you take a look at pricing and go with the higher speed ram it’s available for around the same price. More solid value ram with slightly higher MT/S at 2666MHz. As shown at Tom’s Hardware it edges out the best timings of Kingston’s DDR4-3000. For many, this reasonably-priced ram will be exactly what they’re looking for. In fact, 3 of the 4 ram kits in the top 100 on Amazon are from this series. These include Ram with various speeds including 3000MHz for around $95, 2666MHz for $79.99, and 2400MHz for $84.99. Considering the price, I’d at least go with the 2666MHz ram. It may look plain but Crucial’s Model T4K4G4DFS8213 or CT4C4G4DFS8213 provide some of the best value available right now in the budget DDR4 market. No, it doesn’t have any color coordinated heat sinks and no it doesn’t have the MT/s. What it does have is CL15 and a rock-bottom price in a name you can trust. Crucial’s CT4k4G4DFS8213 basic kit can be overclocked to 2400 MHz to avoid small performance issues for video conversion, fluid dynamics, complex web code, and minimum FPS that Anandtech mentioned an issue within their recent study and avoids the fluff price of many other kits. More information on overclocking this module can be found here. Bumping the voltage to 1.35 at 2666 and 14-14-14-32-1T should be fairly simple for most power users. If you’re worried about the heatsinks, you can purchase those separately for looks; however, in terms of cooling here, they’re not necessary. If you’re looking for cheap DDR4 memory to go along with your value PC Build, Crucial’s Ballistix Sport series is another good place to look. At around $10 per GB it’s one of the cheapest options on the market and probably the most popular right now. It’s available in capacities as small as 4GB and is sold in kits as high as 8GBx4 or 32GB. Price discount for capacity seems to be limited at this time to the 32GB kit. This is another solid option to overclock. Legitreviews was able to get a stable 2666MHz with 12-12-12 timings and as such gave it an editor’s choice. G. Skill’s V series combines what are considered good timings right now along with high MT/s and budget prices. Following the pattern of going value, I like the G. Skill Ripjaws V series as a budget option for Ryzen PC builds. With a stock speed of 3000MHz you can see why the HyperX Predator holds 10 of the top 20 memory clock results. You pay a premium for those kinds of results. If you’re into the numbers, then paying a premium for this one is worth it. If you’re not, go with one of the other models we recommended above. Final Thoughts and Conclusion: It’s hard not to like Crucial’s lineup here with the more basic kits and heat spreaders. In my opinion, it gives you the most value. If you find yourself wanting better performance later on, it’ll be more affordable. Using a kit that you feel has more value? Voice your opinion in the comment section below. Before you go, vote in our interactive poll. These polls show us how we’re doing and keep us up-to-date. Which DDR4 Provides the Best Value? Still not sure what type of kit you want to purchase? Here’s some additional information that can help. Everyone is obsessed with energy efficiency these days. DDR4 is more power efficient than DDR3 running at 1.2 volts instead of 1.5. While this won’t have a huge effect for most PC users, there are huge advantages for server farms as well as for portable devices looking for longer battery life. A stick of DDR3 can hold up to 8GB of memory while a stick of DDR4 has a capacity of 16GB. In addition, the standard allows for DIMMS of 128 GiB capacity vs the 16 Gib per DIMM of DDR3. DDR4 achieves higher Mega transactions a second or MT/s. Starting at 2133 MT/s, DDR4 is expected to rise to a potential of 4266 MT/s. 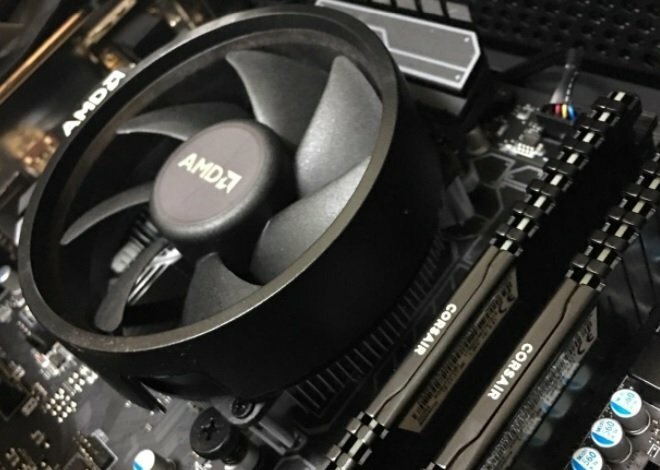 Anandtech recently did a performance breakdown for DDR4 which shows very minimal impact in the performance category at this point in time. There are very specific users who will see small gains including Cinebench R15 and 7-zip users. A small increase in minimum FPS for dual GPU configurations also seems worth noting. Overall, it’s likely that as DDR4 timings and software tighten up, the differences will be more notable. If you go with DDR4 memory, Anandtech also recommends you go with DDR4 of at least 2400 MHz CAS 15. That being said, with 3200MHz memory being similar in price to 2400MHz, we’d definitely go with the better buy. For Ryzen, performance is even more important. Why Is DDR4 More Expensive? Supply and Demand. *Right now the same server farms that receive the most benefit from DDR4 have the biggest purchasing power. As relatively few users are using DDR4 at this point, stock levels are lower which makes prices higher. Better performing modules demand an even higher premium. So, Why Upgrade to DDR4 Right Now? There are still a lot of reasons why users are upgrading to DDR4. The main reason being that it’s a mandatory upgrade for all of today’s latest systems. In addition, if you’re building a new computer, it’s a way to future-proof your system in case major performance gains are seen over the next few years. While I’d consider DDR4 to now be mainstream, the transition took longer than expected. According to Wikipedia, this was longer than the transition from DDR2 to DDR3. One of the reasons for this is because of changes which need to be made to other components. Another reason has to do with the immediate price and performance differential expected from the platform. A lot of negative things have been said about all the LED lighting that’s been introduced to the hardware industry over the last couple of years. That being said I totally get that you want your gaming PC to look its best. LED ram, in my opinion, is one of the better and cheaper ways to do this. So, if you’re looking to light up your PC, I’d say go for it. Ram timings aren’t as tight right now as they will be down the road. While there is a small performance difference between the available CL15 and CL16 memory, it’s important to keep in mind that you might want to upgrade to something even better in a couple years. In addition, most will find a negligible difference between some of the flashy RAM that’s available with super high MT/s. For this reason, I’m valuing budget Ram much higher than some of the higher-end options. If you’re on a team trying to beat world records, feel free to spend the extra cash to get you to your goal, otherwise, it’s probably a good idea to go with the less expensive options for now. In addition, tweaking voltage can help any performance issues you may have. Where Can I Use DDR4 Right Now? DDR4 is now mainstream across a variety of platforms. This includes Intel’s mainstream 6th generation *Skylake motherboards, 7th Gen Kaby Lake, 8th Gen Coffee Lake and AMD’s Ryzen AM4 platform. On the enthusiast level, DDR4 is supported by both the Haswell-E and Broadwell-E platform. 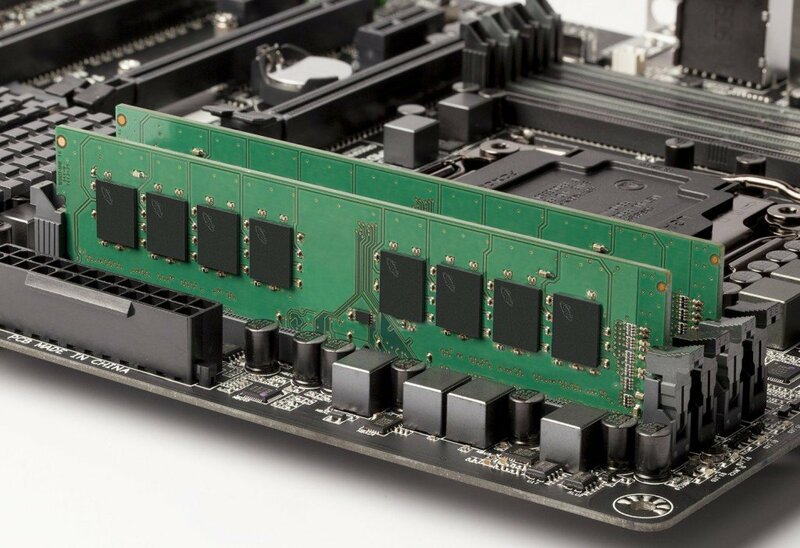 DDR4 will continue to be supported for all platforms released in the near-distant future. This includes Sklyake-X and Kaby Lake-X. *Some Skylake motherboards only support DDR3. Overall, we recommend going with memory that matches what your motherboard can handle. Don’t overspend on memory and if you’re a power user, you may be able to save money and get similar performance out of less expensive kits.